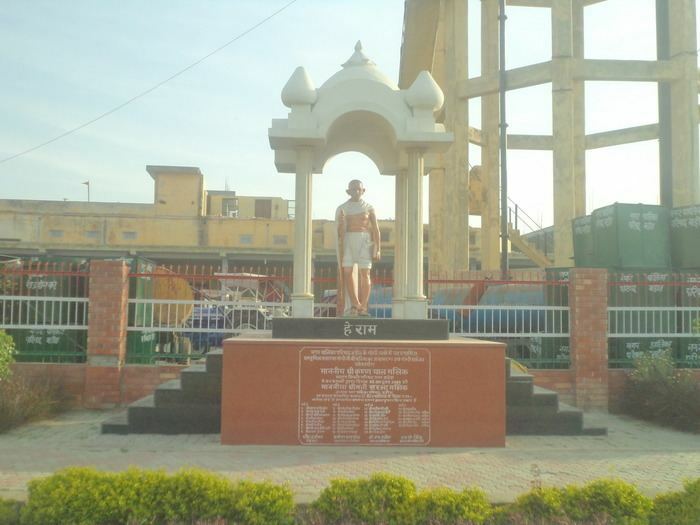 Baraut is a small city and municipal board in Baghpat district, Uttar Pradesh, India. As of 2011, the city has a population of 713,106 with 384,335 males and 328,771 female populations. Being so near to Delhi, it is quite popular in nearby areas due to several factors. According to provisional report of 2011 census, Baraut city had a population of 713,106 with an estimated child and working population of 104,386 and 230,899 respectively. The overall literacy rate for the district was 61.41%. 70.22% males and 51.12% females were literate. 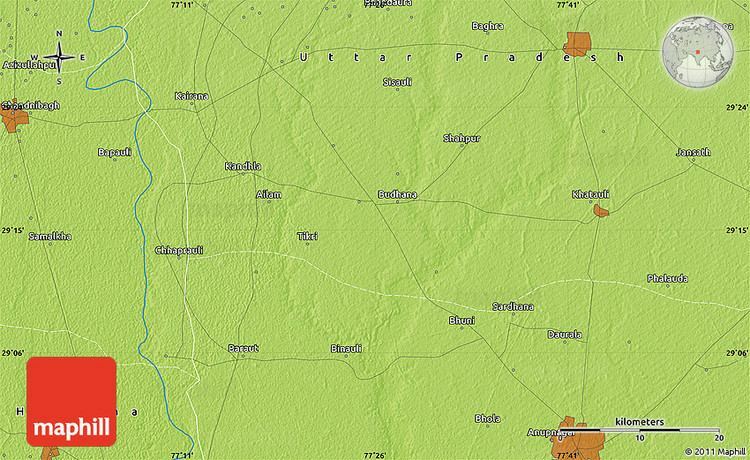 Baraut is one of the 403 constituencies of the Uttar Pradesh Legislative Assembly, India. First election in this assembly constituency was held in 1957 after the "DPACO (1956)" (delimitation order 1956) was passed in 1956. After the 1969 elections, the constituency was dissolved. In 2008, when the "Delimitation of Parliamentary and Assembly Constituencies Order, 2008" was passed, the constituency was constituted again and elections were held in 2012. The constituency is assigned identification number 51. Baraut is also a multi-religious place with many Hindu Temples, Jain Temples and Mosques around. There are 32 Temples, 2 Mosques, 1 Gurudwara and 2 Churches in the Baraut city. Being so popular for Jainism and Jain festivals, the city does have 9 Jain temples. One of the biggest temple in this area known as Digambar Jain Bara Mandir, is a very famous and holds big importance here. It is worth seeing and not describing in words. On the day of Mahavir Jayanti (Birth of Bhagwan Mahavir) during month of April a three-day carnival is organized every year. Another carnival is organized during Dusshera following Ramleela (Play depicting life on lord Rama). Every year, Jain committees together organize a 3 day carnival on the auspicious day of Anant Chaturdasi after Daslakshan Parv. The carnival is popularly known as Uchchav (Hindi: उच्छाव). Another big Hindu temple in the heart of the city is Panchvati Temple, on the bank of nahar (stream of water). This temple has three parts, first with Goddess Santoshi Ma temple, second is Ram Temple and third part is Ganesh and Hanuman ji temple. Among to be seen places Faula Pond, Lakko Wala Kua and Temple Ravidas Pond are very famous. Despite the low literacy rate for females and an overall literacy rate, the Baraut city is continuously seeing a big growth in education sector. Several C.B.S.E. board schools have now started their separate girls’ wing to ensure girls education. The schools who have dominated in this direction include Growell School, Johar Public School, J.P. Public School,Vidyasagar School and Vanasthali Public School. Not only higher secondary education but many schools are now dominating to primary and secondary education with few popular brands. The Zee Education has opened their branch of Kidzee Play School and Mount Litera Zee School in or around the city which has helped the kids get the most out of it. Earlier, students after passing their intermediate (+2), went to the big metropolitan cities for higher studies. But, in past years, the Baraut city has seen a tremendous growth in the graduation and post graduation colleges offering several professional and management courses. The list of such colleges includes Gayatri Devi College of Education, Kalindi College, Baraut College of Education, etc. However, the city was already famous for general (non-professional) higher degree courses with its own popular and well-settled college institutions like Digambar Jain College, Janta Vedic College, Babu Kamta Prasad Jain Mahila Vidhyalaya and many others. Today, the people of Baraut are keen about using branded clothes, which is why you will see many large showrooms of popular brands of ethnic and casual wear. Technology-related services are also increasing in Baraut, with new startups in grocery, online shopping, and information technology. Restaurants, heavy equipment, machinery, and laboratory equipment all are available in Baraut. Baraut is known for the knives and scissors manufactured there, which are in demand at many factories and wholesalers across India. Healthcare facilities are also quite good in the city. Apart from many reputed and experienced doctors, the Baraut city does have large hospital/healthcare facilities like Aastha Multi-speciality Hospital, Medicity Hospital and Bhopal Memorial Hospital. The Baraut residents and other nearby village people do not need to head towards big metro cities for better treatment. The experienced doctors with their respective hospitals in Baraut provide best facilities including cancer treatment, surgery, heart transplantation, neuro surgery treatment, endoscopy and infertility complexities. Few doctors from Baraut also visits as a guest facility in big hospitals of metro cities.